Wouldn't it be nice to see where the link actually goes without visiting it first? For bit.ly, it's easy. Just add a plus sign to the end of it. If we visit https://bitly.com/4rzEF4+, we see it actually links to http://ha.ckers.org/xss.js. Not a harmful script...but it could be. Happy safe browsing ; ). 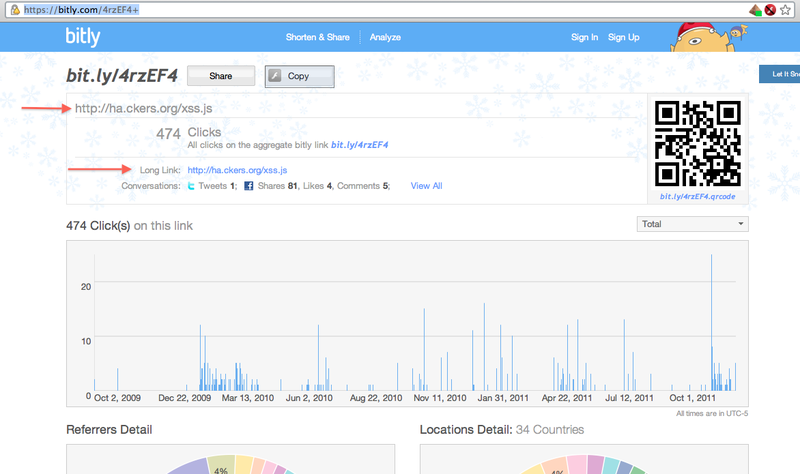 Note: I just stumbled across http://untiny.me, which works for more sites than just bit.ly.